When it comes to heating your home, you want to make sure that each room is receiving enough warm air, and that there’s proper airflow throughout the entire house. 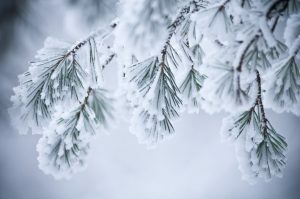 At Lamco Systems in Merrimack Valley, we’ve installed countless furnaces throughout northern Massachusetts, and we know how important it is to have a functional heating system, especially once winter arrives. If you’re thinking about replacing your old system this December, it’s important to know how to size a furnace properly. Our technicians can help you choose the right model, as well as explain all of the details of your new appliance. Every residential gas furnace is measured by the number of British thermal units, or BTUs, that it can produce per hour. You’ve most likely heard of BTUs before, but you may not have known what the abbreviation stood for or what significance they had when it came to heating your home. Simply put, it’s important to know how many BTUs per square foot you need, which of course means you need to know how many square feet there are in your house. In Merrimack Valley, homes require about 45 to 50 BTUs per square foot in order to maintain a comfortable interior temperature. To determine your home’s square footage, all you have to do is measure the floor in each room, taking the width and length and multiplying them together. If you want, you can measure the height of your ceiling, since most furnace sizing calculations assume that you have eight-foot ceilings. Taller ceilings mean more area to heat, and that can affect which system size you choose. Once you have your square footage, you can multiply that by the BTUs per square foot that your home requires. For example, if your home is 1500 square feet and you need 45 BTUs per square foot, then you would need 67,500 BTUs to heat your entire home. Most furnaces come in 15,000 to 20,000 BTU increments, so you may have to go with a 72,000+ BTU model. 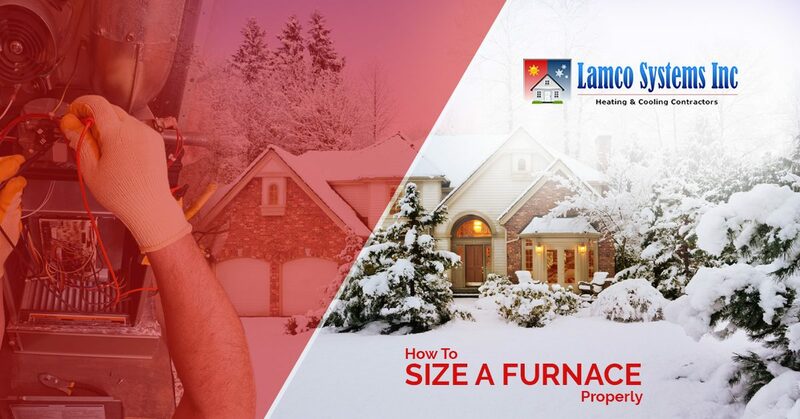 It’s okay to oversize by a bit, but you’ll need to remember that no furnace operates at 100 percent efficiency. If you go with a 72,000 BTU model and it operates at 85 percent efficiency, then you’ll actually be getting 61,200 BTUs of output. This is lower than the 67,500 BTUs that your home needs, so you may need to move up a size so that your house has adequate heat during the winter. Before picking out a new heating system, it’s important to think about how well insulated your home is. If the walls and windows are letting in too much cold air, any furnace you have is going to have to work overtime to keep your house at a comfortable temperature. Checking your roof is also a good thing to do, in order to make sure that no warm air is escaping out of gaps in the roofline. Investing in new windows, doors, and insulation can make your home stay warmer longer, and it will put less strain on your new furnace. If you need a new heating system this winter, and you’re looking for a team that can help you choose and install your new appliance, contact Lamco Systems today. We have experience with types and sizes of furnaces, and we can recommend the best choice for your home. We can also take care of removing your old system and making sure that everything is cleared out to make room for the new one.